Citizens must pay US taxes even if they live abroad and earn their income overseas. WASHINGTON — The IRS reaches every corner of Charles Allard’s world. The 48-year-old US citizen, who lives in Hong Kong and works for a financial services company, is among a group of Americans living abroad who are seizing the debate over a US tax code rewrite to push for changing a policy that taxes citizens’ income regardless of where it’s earned. The issue is one that affects many US executives who spend part of their career in other countries. 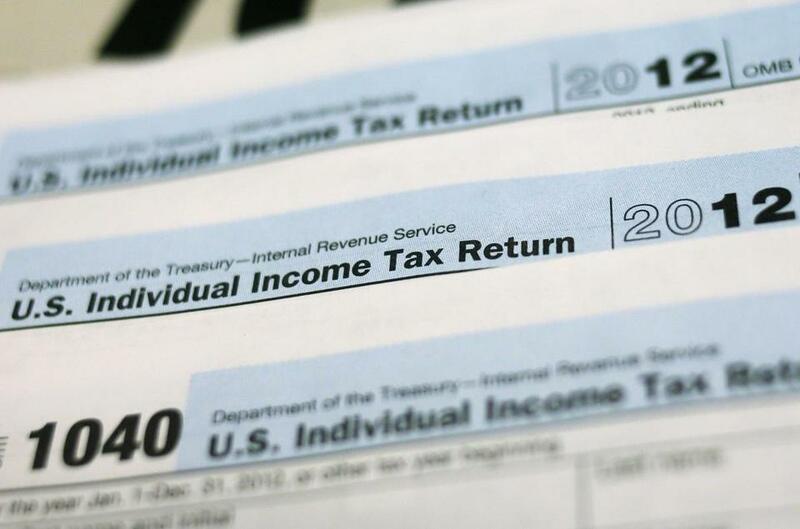 For them, tax filing can involve more than 100 pages and a multitude of forms, such as those for overseas pensions and foreign tax credits, Allard said. He said he has regularly had to amend tax filings — on top of paying levies to the countries where he lives and works. New disclosure rules on financial accounts held overseas have further muddied the process. The United States is the only nation in the Organization for Economic Cooperation and Development that taxes citizens wherever they reside, including an estimated 7 million expatriates. Complexity has increased for Americans abroad with the Foreign Account Tax Compliance Act, enacted in 2010 to combat tax evasion by US taxpayers with assets offshore. Allard is among more than 100 people who have written to an international working group of the House Ways and Means Committee, urging Congress to change the laws. It’s an uphill political climb, as they need to sway lawmakers with limited resources who have constituents pushing for other changes. Current rules expose US citizens to double taxation and hefty penalties for mistakes, the letters say. Also, the system reduces competitiveness because many companies avoid US workers because of the added costs they may have to cover, some of those living abroad said in the letters. The national taxpayer advocate’s annual report to Congress released last year cited a growing number of taxpayers who are seeking economic opportunities abroad as it called on the IRS to address the issues facing international taxpayers. ‘‘The complexity of international tax law, combined with the administrative burden placed on these taxpayers, creates an environment where taxpayers who are trying their best to comply simply cannot,’’ according to the report, by the independent organization within the IRS. Winship Herr, an American citizen and a professor at the University of Lausanne in Switzerland, said that he paid about $30,000 in US taxes last year with his wife, even though he does not receive compensation from a US company or own property in the country. And that tax bill comes on top of levies he pays to the Swiss government. Herr said he paid an accountant $3,000 for help with his US paperwork. In recent years, Herr said, he has paid more to the IRS even though his salary has not increased because the US dollar has declined in value, compared with the Swiss franc. Earnings from his Swiss employer should not be taxed by the IRS, Herr maintained. He has some mutual-fund investments in the United States and those earnings should be taxed, he said. John Kent, 62, a statistics professor at the University of Leeds in England, usually spends more than 100 hours preparing his US tax return himself, he said. This year, Kent said, he has all of $1.70 in income to report from interest in US bank accounts; still, he must include wages from his employer in Britain. ‘‘I usually start in January and if I get the forms done by June, I’ve done well,’’ said Kent, who has lived in Britain for 40 years. US citizens residing overseas receive an automatic two-month filing extension to June 15 and can request more time until Oct. 15. Some may qualify for foreign earned income and housing exclusions or deductions. In 2013, they may exclude from income up to $97,600 in foreign earnings, according to the IRS. There’s not an easy way out of the worldwide reach of the US tax system. Those who expatriate must renounce their citizenship to avoid taxation and pay exit taxes if they exceed a certain net worth. For 2013, individuals with a net worth of more than $2 million, or with average annual income taxes exceeding $155,000 for the past five years, must pay taxes on the value of assets such as homes as if they were sold before they expatriate, according to IRS rules. About 932 people gave up their US citizenship in 2012, IRS data show. That compares with 1,781 in 2011 and 742 in 2009. Among those giving up US citizenship is the mayor of Zurich, according to a statement this month. Corine Mauch, born in Iowa City, Iowa, returned her passport because she regards Switzerland as her home and does not want the IRS paperwork burden, she said in the statement. Representative Dave Camp, Republican of Michigan, is chairman of the House Ways and Means Committee. He has said he will tackle a tax overhaul this year, even though Republicans and Democrats are divided on how to accomplish it. He has created 11 working groups, including the international one, to develop ideas on how to simplify and improve the tax system. The potential for change to taxation of US citizens abroad is slim, though, as other issues will take priority. Oregon Representative Earl Blumenauer, the top Democrat on the international working group, said he sees changes in the taxation of individuals’ international income as secondary to corporate tax changes. Representative Devin Nunes, a California Republican who is leading the international working group, said he did not know what the committee would do, in part because it’s unclear what the rest of a tax bill would look like. ‘‘There’s lots of moving parts,’’ Nunes said. Allard, who lives in Hong Kong, has resided outside the United States since he graduated from college except for one year, he said. His two children are US citizens. He still owns property in the country and has returned for business as recently as March, he said. While simplifying the US tax code for expatriates would increase compliance and make it easier to spot those who are abusing the system, Allard said he won’t give up his citizenship even if the tax hassles remain.